The first night I ever spent in Nashville was a Saturday in April of 1969. WSM flew me here from South Carolina to talk about coming to work at Channel 4. I was staying at, what is now, the Holiday Inn Express Hotel - directly across the street from the Main Post Office, now the Frist Center. I can't recall the name of that hotel 35 years ago, but it was Nashville's newest, and walking distance from the Ryman. After dining with WSM executives, they dropped me off at the hotel and said arrangements had been made to go backstage at the Opry if I was so inclined. I was very much inclined. I was a bit nervous as I walked down Broadway. The Opry was a big deal.... I had listened to, and admired, those performers my whole life. The guard on the side door in the alley behind Tootsie's sent me right in. In those days, when you walked into the Ryman through that door, you were literally on stage. There I was, just feet away from Hank Snow, Stringbean, George Hamilton IV, Stu Phillips, and other performers I was so familiar with. It was really something. And there was Skeeter Davis. She was probably 37 years old then, cute as a button, perky as a puppy, and clearly having a good time with the audience and everybody backstage. She lit up the stage. Obviously, she had no idea who I was. There were dozens of people backstage. But Skeeter walked over and introduced herself and talked as if I were a friend. I liked that. She laughed a lot, and would always grab people's hands as she laughed. Skeeter was always funny, and she could be very outspoken. 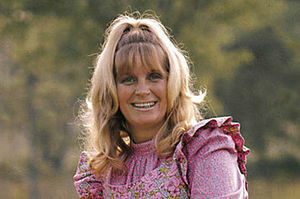 In fact, she was suspended from the very conservative Opry for a couple of years after criticizing Nashville Police on WSM following the murders of Stringbean Akeman and his wife in 1973. She always felt the Opry owed her an apology, which she never got. Her real name was Mary Frances Penick, but while still a teenager, she and a friend named Betty Jack Davis started singing as the Davis Sisters. They had a #1 record for RCA called "I Forgot More Than You'll Ever Know" in 1953. But later that same year, a car crash took the life of Betty Jack, and critically injured Skeeter. She later emerged as a solo act, with a remarkable career that spanned a half century. Skeeter was an immensely likable person, who could light up a room or a stage. We'll miss that light.